How to play balalaika chords! If you are looking for balalaika for beginners, the chords here at 120 Balalaika Chords are just right! With this app, you can play your favorite Balalaika music, itself, soon! More than 120 balalaika chords will help you to learn to play the balalaika. Play your favorite music on a balalaika or compose your own balalaika music using this app! 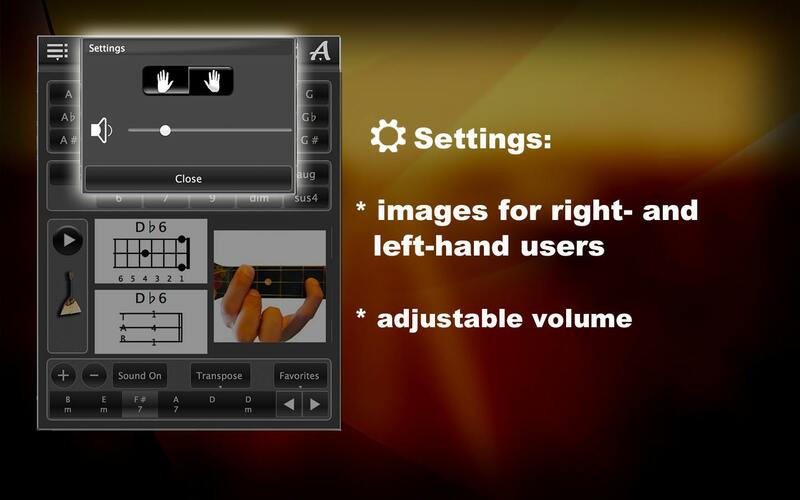 Our clear user interface with retina support is designed for both right handed and left handed balalaika. Simply click on either the right or the left hand in the settings. The volume is also adjustable. Now select a chord you want to try, and it will appear on the screen as music, as balalaika tabs and as color images with finger positions on a balalaika fingerboard. Listen to this chord! 120 Balalaika Chords also makes it possible to create your own chord progressions for your favorite songs, save, delete, and upload again. You can add these chord progressions to your documents using drag and drop. You can also change the order of the chords in your chord sequences each time, and transpose all the chords to fit your singing voice. You can watch the free version of this app, here. We will tell you exactly how to find chords on your balalaika fingerboard and how the various options of the app can help you in your balalaika music. Learning balalaika chords is easy! This app will help you find the right chords for your balalaika music. First, we will go to the settings. If you’re right handed, click the right hand, and if left handed, the left. You can also adjust the volume here. 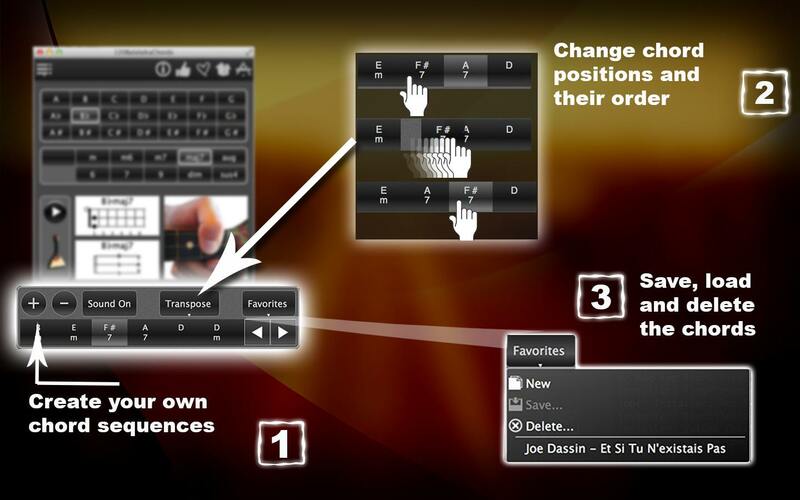 Now select a chord, the tone and the chord type. 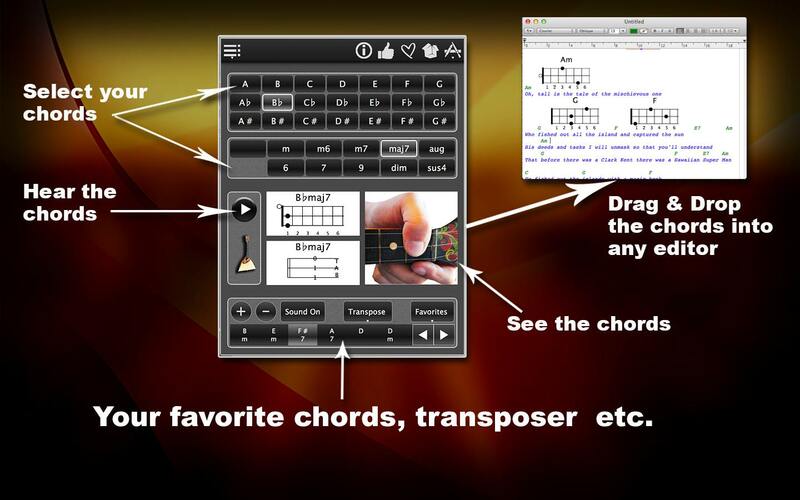 You can now see how this chord looks on chord charts and tabls. You can also see how to place your fingers to play this chord. Now listen to the chord! 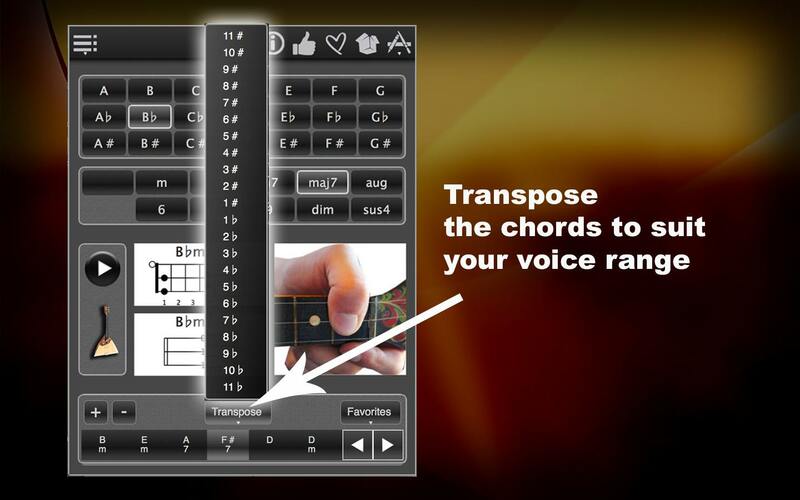 You can also create chords. Choose a chord, then click the plus sign. Choose your next chord and again, click the plus sign. Continue in the same way, until you have your desired chord progression. You can also change the order of the chords, as you go. You can also transpose this chord sequence to match your singing voice. Now, if you want, you can save these chord progression. Click Favorites, then Save, enter a file name, and done! Now check to see if our chord progression was properly stored. There it is! Now it’s your turn! Have fun with the app!